Tecno mobile has just announced a set of smartphones known as Tecno S5 which is an enhanced version of Tecno S3. We all know Tecno are doing their best to produce smartphones which are affordable for the low income earners but they should improve by developing and making custom roms available for developers so we can experience the hidden powers of our smartphones. The Tecno S5 smart phone is powered with Google android operating system Android 4.2.2 Jelly bean, 1.3GHz dual core processor, large display of 4.5 inches touchscreen 480 x 854 pixels and primary camera 5MP with LED flash. The Tecno S5 android mobile phone is equipped with a dual camera of 5MP with flash and 1.3 mega pixels front facing camera optimized for video calls with Full High Definition Video quality.The Tecno S5 smartphone also has an internal storage of 4GB and 512MB of RAM. It also comes in several colors which include White,Yellow,Grey,Pink and Black. 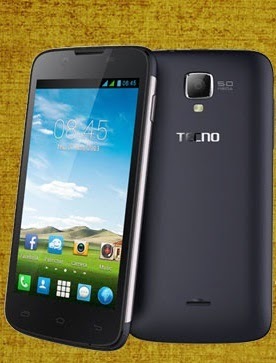 The current price range of Tecno S5 in Nigeria is N18,000 – 19,000N depending on the dealer.